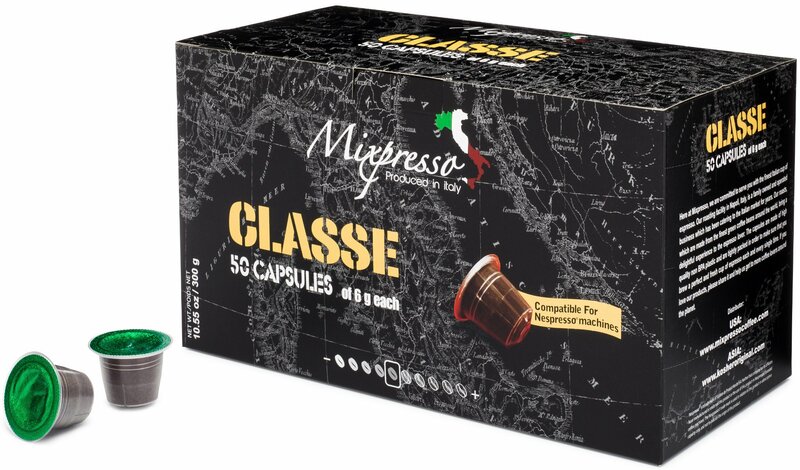 Home › Home and Kitchen › Nespresso Capsules (Compatible) - Coffee From Italy - By Mixpresso (50 Capsul..
Nespresso Capsules (Compatible) - Coffee From Italy - By Mixpresso (50 Capsul.. Flavor: Classe Enjoy medium body artisanal espresso with mixpresso's classed coffee cups. TheArabica blends of coffee beans are roasted in small batches by an Italianfamily of 2nd generation roasters. Discover one of mixpresso's pump drivenespresso machines and have the best quality Italian coffee at your fingertips.